If you can read this, thank a teacher. 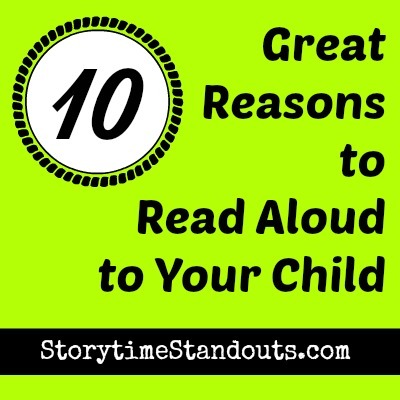 If you want to read, thank a parent. If we want to engage children in reading and grow great readers, we need to make daily practice with age-appropriate books a priority. I’m just back from a quick trip to the library. I had three books due today and didn’t want to rack up a fine. As I walked from the library, I passed a car with a wise bumper sticker: “If you can read this, thank a teacher.” It reminded me of a lunchtime conversation I had with some friends earlier today. We were talking about kids (actually boys) who read and kids (also boys) who don’t. One of the men at the table remarked that his parents didn’t express any anxiety over whether he would read, it was just assumed that everyone in the house enjoyed reading and so they all read together. One of the women remarked that she has a friend whose kids don’t read at all. Both children are boys and they never pick up a book. Apparently, even TV Guide is a challenge for one of them. As a booklover, I view this as a tragedy, as a teacher, I am suspicious. (Actually, the teacher part of me also sees it as a tragedy.) 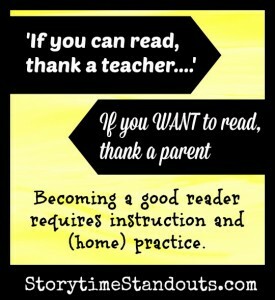 Becoming a good reader requires at least two things: instruction and practice. Virtually every child receives instruction but I’m not convinced that every child receives adequate practice. If we want to engage children in reading and grow great readers, we need to make daily practice with age appropriate books a priority. The trick is to find increasingly challenging books that captive and inspire. I will do my best to alert you to my favourites – please “chime in” with your own. A Middle Grade Teacher’s To Be Read List – Let it inspire you! 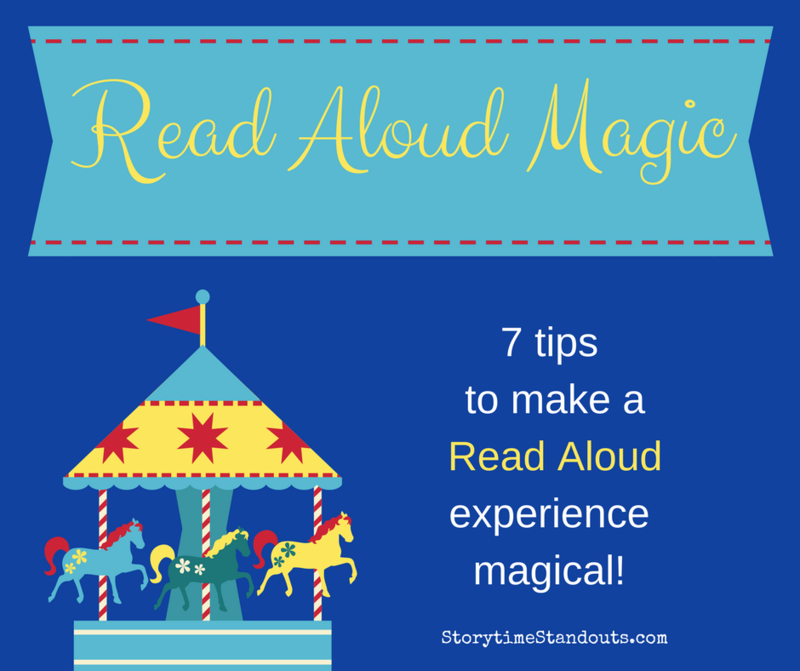 Make Your Child’s Read Aloud Experience Magical- Like a Trip to a Theme Park Dads Reading to Boys – Raising Young Men Who Will Want to Read Ten Great Reasons to Read Aloud to Your Child Don’t stop the readin’…hold on to that read aloud feeling. Sing Along!